Serum containing an innovative complex of Magnolia Kobus extract and Licorice Root to fight the appearance of dark spots. - Fight against age spots and prevent their appearance. - Develop a radiant complexion. - Protect skin cells from UVs. 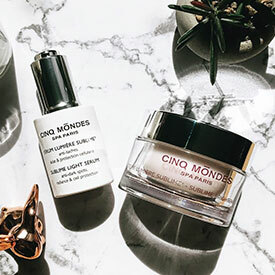 Cinq Mondes Laboratories sought to develop the lightest, finest and most silky texture for an application with high sensory appeal that feels like a caress on the skin for a remarkable sensorial journey. *Efficacy of the Licorice ingredient proven by an in vitro test carried out in comparison with vitamin C by the supplier. **Assessment of satisfaction obtained from 22 volunteers by an independent laboratory. Apply 3 drops morning and evening on the whole face and areas to be treated (hands, décolleté), as a foundation to your serum or face cream. Progressively, age spots fade, the skin is more radiant, and the complexion even and smoothed. 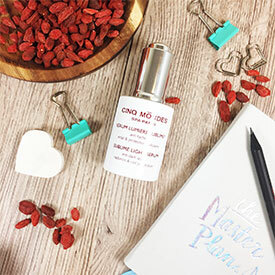 a shrub producing goji berries native to Japan, it is recognized for its high concentration in Vitamins B and C, and flavonoids. 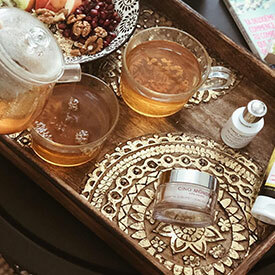 It is a powerful antioxidant and neutralizes free radicals, enabling skin texture and radiance to be improved. because of the high level of Vitamin E and Omega 9 in this oil, it has a specific effect on the keratinization of skin cells making the cutaneous surface smoother and more even. 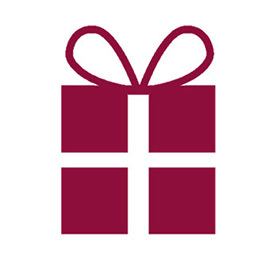 Its action enables our cells to be protected and skin aging is slowed. one of the most powerful natural depigmenting molecules, it inhibits tyrosinase, the enzyme responsible for producing melanin pigments in melanocytes. native to Japan and symbol of purity, the Kobushi Magnolia is recognized for its anti-inflammatory and antioxidant properties. The aquatic plant Nymphaea, along with the Nenuphar water lily, belongs to the Nymphaeceae family. Its essential oil is used in the perfume industry for its evocative floral notes.